Is your Roomba not cleaning all of your rooms? In this article I look at some of the most common reasons behind this complex and frustrating problem. 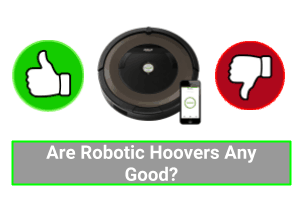 There are many reasons that a Roomba might be failing to clean all of your rooms, but as a start, it might help if we understand how Roombas “think” and “navigate”. Although we all view our homes as a collection of rooms, a Roomba has no concept of rooms- it recognises spaces that have obstacles in them. 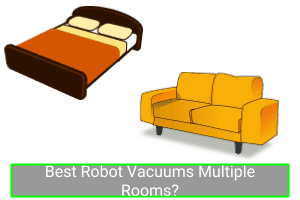 For this, let’s split Roomba models into two distinct groups as the way that they think and navigate is different. *All Roomba models except 960 and 980. All Roomba models except 960 and 980. One of the first things that a Roomba does as it cleans, is to take a rough measurement of the space it is in and from that it allocates a cleaning time to that space. These Roombas have no idea about the spaces that they are in, apart from what is right in front of them. They can’t plan, they just react and the cleaning pattern of most Roomba models is random and seems chaotic. They are not programmed to clean one room at a time because they do not know what a room is. Without getting too technical (or boring), Roombas navigate according to a simple set of rules. Two of these are wall following and random bounce. The vacuums move in a very unpredictable way. It all seems a bit illogical as the robots move from one part of the room to another, only cleaning small areas on the way! Have a look at this video as an example. These Roombas have a built in camera that works with a range of laser sensors to create a detailed map of the surroundings. These devices can plan a route. The result is that the 960 and 980 move in a much more predictable, efficient and organised way around a space. These models vacuum in the same way that you and I would if we were using our upright! The first reason that your Roomba might not be cleaning all rooms is because of battery issues. Firstly check that your Roomba is not back on its dock, with the “clean” button glowing. If it is there, then the glow indicates that the Roomba is re charging and that it run out of power before it complete the cleaning. If you have a Roomba 960 or 980 then you are lucky because once it has recharged it will resume cleaning from where it left off. If you find your device in the middle of the floor “dead”, it might be that your battery needs replacing. Following on from discussing battery issues, another cause of your Roombas malfunction could be related to the position of your dock. If your rooms are not being cleaned and you are finding your vacuum stranded and lifeless on your floor, it might be struggling to get to its dock. Roomba have issued some very useful guidance about where to locate a Roomba’s home base. The Home Base needs to be in an open, uncluttered area with at least 1.5 ft each side of the base and 4 ft in front of the base free of any objects or furniture. It should also be nowhere near any stairs. Another reason that your Roomba fails to clean, is that whilst it is cleaning, it gets itself trapped in one particular area or it gets caught on a bit of clutter. It might be a good idea to just double check that any of your floors are free from clutter (clothes, shoes or cables) that the Roomba might be caught on or that that a chair or table is not at an odd angle or location that might trap the Roomba in. Virtual Wall and Lighthouses are devices that have been created to help any Roomba perform better. A virtual wall is an infrared beam that spans an opening that an stops a Roomba from moving from one room into another. A Lighthouse acts as an automatic door. 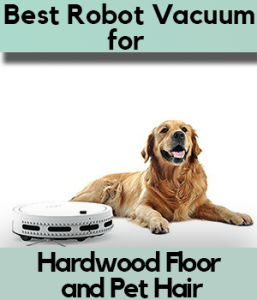 Located in an opening, it restricts a Roomba to stay in one room until it has finished cleaning it and once done, it allows the Roomba to move through into the next room. If you are using one of these devices, it could be that they are the cause of your cleaning problems. You would not be alone in this. Try turning them off or re-positioning them . Roombas struggle to clean patterned or dark colored rugs or carpets, particularly if they are black. Their sensors easily get confused by the dark color and or the patterns which means that most often it will not be cleaned properly. Fortunately, you do not have to throw the rug away and there is an easy DIY modification that you can make to solve the problem. However, because this modification involves blocking the cliff detect sensor, you should not use it if your Roomba is working close to a set of steps! Darkness can also present a real challenge to the 960 and 980 models, which I will tell you about in the next section. Some owners of the Roomba 960 or 980 have complained about the fact that their machine is not cleaning properly. And it turns out that this is because they were being used at night or in very dark rooms. The cameras on these devices cannot operate in darkness, they need daylight or at least very dim light in order to navigate properly. Having looked at problems that these modern models have cleaning in the dark, I will now focus on another cause of poor cleaning, which is a setting in the app. The final reason that your Roomba is not cleaning all rooms is because within the Roomba app, the Edge Cleaning function is set to off. This means that your robovac will stay away from any walls which could leave large parts of your house untouched. To turn Edge Cleaning back on, open the Roomba Home app and select “Cleaning Preferences.” Tap on the button to toggle it “on”. Each one of these smaller issues might be the cause of your cleaning problems, particularly if your Roomba doesn’t seem to have any issues with navigation. It’s just that as it goes about it doesn’t seem to clean. Robot vacuums are great little machines but they do need lots of TLC particularly if they are used frequently. When was the last time that you emptied the bin? Only some Roomba models have “full bin” indicators. And, the Roomba can collect any more dirt if its bin is full. The next thing to do could be to check the brushes and filter. Could it be that the brushes need taking off and cleaning or replacing? And have you checked the filter? This video guides you through the simple process of cleaning these parts. 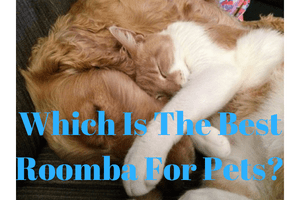 There are many reasons why your Roomba might not be cleaning all rooms and in this article I have explained well over a dozen. 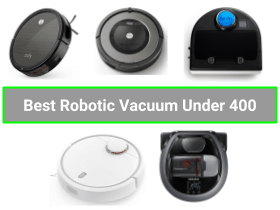 These reasons range from the very simple quick fixes such as making sure that your Roomba 980 vacuums in rooms that are lit in some way to the more complex issues of checking that the battery is working and charging correctly. 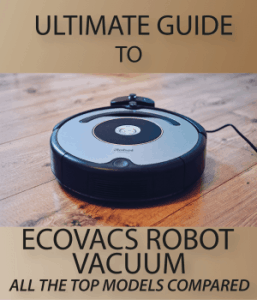 I hope that this article helps you find a solution to your cleaning difficulties and that your Roomba gets back to its brilliant best! Good luck.